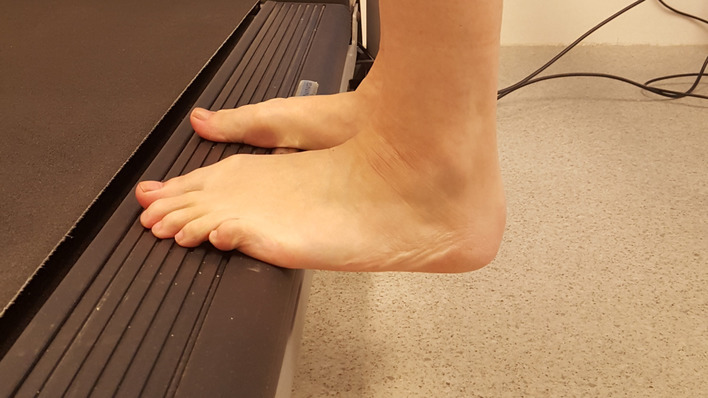 BLOG - I THINK I HAVE PLANTAR FASCIITIS, WHAT CAN I DO? Next think about what you wear inside the house. Many people come home from a day’s work and fling off their shoes, choosing to walk about bare foot or in sock soles. Our homes are human-made, and the floors are very flat, unnaturally so. This can strain the fascia and trigger pain. So, find an indoor shoe that suits you. Great examples are Crocs (no fakes please), Birkenstocks, Fit Flops and Strive footwear. The key is to have a contoured sole that mirrors the foot arch and a heel cup for stability. Apply this thinking to your outdoor footwear too and you will notice a difference. While you are addressing your footwear taking anti-inflammatories or applying anti-inflammatory gels will help keep the inflammation under control and reduce the destruction caused by this. After a long day elevate your legs and rest an ice pack or bag of frozen vegetables wrapped in a towel on your soles for 20 minutes. Gentle stretches during this time can help. Calf stretches are advised because the Achilles tendon, which is the tendon of the calf muscles, inserts into the back of the calcaneus (heel bone) and we know that the plantar fascia attaches into the plantar (sole) area of the same bone. So, a tight calf muscle can have a direct effect on the plantar fascia. Place the balls of both feet on a stair and hold onto the bannister. With the feet straight forward and your back straight drop your heels down and hold for 30 secs. Gently raise up to horizontal, not higher and repeat. Do this daily to see an improvement in about three weeks. When walking upstairs try to place your whole foot on the step rather that the ball of your foot and be conscious of activity that pulls your foot into a tight position and shortens your calf muscles. Night splints to prevent your foot contracting overnight can be bought online and although bulky some people find really great results. You will see many, many off the shelf devices that claim to cure plantar fasciitis and most of them are best avoided. Studies show that magnetic insoles do not work. Flat gel and memory foam insoles may assist in the short term with the applications of other treatments. Before you spend a fortune see a podiatrist, have the cause assessed, treat and prevent recurrence.